I gave these swag bags to each guest at my Favorite Things Party. As I filled these bags up with some of my favorite things, I got excited myself. I don't know about you, but I love a goodie bag! Let me tell you what was in them and then I'll tell you how you can win one yourself! Sonny Bryan's Barbecue Sauce. Sonny Bryan's is the best barbecue in the Dallas-Fort Worth area hands down. They've been around since 1910 and they've perfected brisket, ribs, pulled pork, pulled chicken and sausage. Their barbecue is my favorite! They've recently opened three new restaurants in Salt Lake City, Sandy and West Valley, Utah. They'll cater any size event as well. You can order this sauce on their website and have it shipped straight to your door! You can also order smoked brisket, ribs, and sausage. The send it on dry ice and it's ready to reheat and serve! My insider tip: heat up your sauce before you serve it directly on anything. It makes the flavors really come out. They serve it hot in their restaurants. Lush body products. Lush is known for their handmade cosmetics and body products. They were kind enough to mix up three things for each guest: Lemony Flutter Cuticle Cream, Enchanted Eye Cream, and Ocean Salt Face & Body Scrub. Hairbo gummy bears. Is there any other brand? Oh, really? I wasn't aware. These are the only kind I'll eat. A File Catty. I love these files because they come in a case. I absolutely hate nail files floating around in my purse, scratching who knows what. They also stay clean this way. I always carry them with me in my car, in my purse, in my diaper bag. They come in cute patterns and colors. You can find them here at Ulta or here at Sally's Beauty. They both carry them in the stores as well. Here are some of her other beautiful pieces. Out The Door Fast Drying Top Coat. I have two little ones running around. I don't have time for nails to dry and set. That's why I love their top coat. It dries and sets in seconds so you can be "out the door." And it works on natural or sculptured nails. They sent us their Northern Lights Top Coat Trio which includes a clear coat, a silver hologram top coat and a gold hologram top coat. The glitter isn't too flashy, it's very subtle and gives the perfect amount of sparkle to your nails. You can find these at Sally's or other beauty supply stores. Lemonheads. I have a weakness for sour and gummy candies. I'm like a little kid. I can resist chocolate when I'm trying to be good. But, I can't resist Lemonheads! Stephen's Gourmet Hot Cocoa. I'm a Texas girl. Born and raised. And now I'm living in the Midwest. And I'm freeeeezing. So, I drink hot cocoa all winter long. Several times a day if we've been in and out playing in the snow. It's a staple around here. I used to drink whatever was on sale until I stumbled upon Stephen's. And now I'll never go back. Their mixes make the best hot cocoa and it is creamy and delicious! They make all sorts of flavors like dark, mint truffle, roasted hazelnut, candy cane, raspberry cheesecake, white, and peanut butter cup (I know! It's my husband's favorite). But, my favs are their french vanilla and their milk chocolate. So, they sent me those two flavors to share with my friends. And I stole a few for myself. They also sell teas, wassail and ciders. Try the caramel apple cider! I buy them at my local grocery store but you can order online here if you can't find them near you. 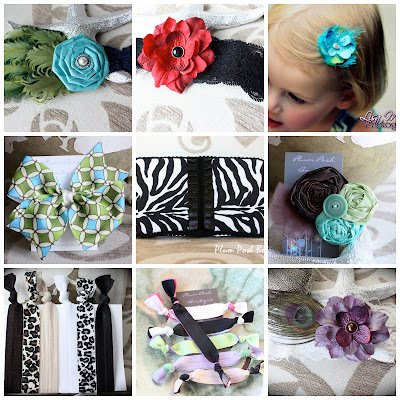 A knotted elastic pony tail holder from PlumPosh. These are cute, comfy, and stylish and don't leave crease in your hair. She sent all different colors and everyone went home with one. She also makes all sorts of pretty garters to be used for weddings or baby headbands, fabric flowers, bows, accessories and even baby wipes cases! 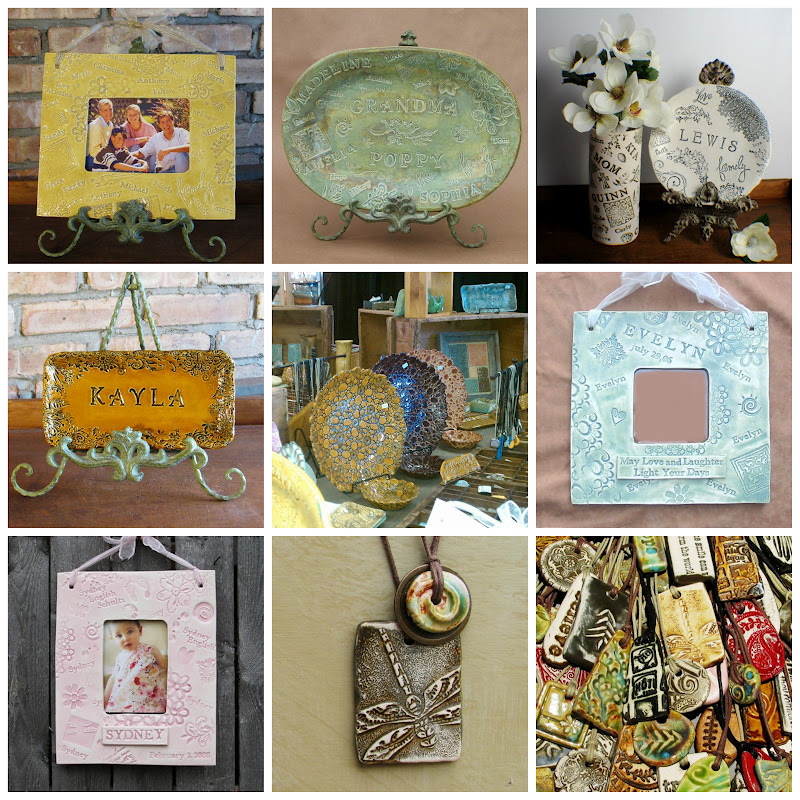 Here are a few of her other creations listed for sale on her Etsy site. Bath & Body Works Hand Sanitizer. I love a good sale. So, when I saw the Christmas scents on clearance for $0.32 each I stocked up. And I shared them with my party guests. Having kids, I carry hand sanitizer in the car, my purse, the library bag, you name it. So, I love these little travel sizes. My little girl loves their brand of sanitizers because they "smell so good!" Hollywood Fashion Secrets Lint Removing Sheets and Oil Blotting Tissues. I carry these little oil blotting tissues in my car and purse as well (I know, my purse sounds like a pit by now, right?). They are perfect for mid or late day oil build up on my face so I don't have to reapply makeup. They get rid of that afternoon sheen and make you look fresh again! Hollywood Fashion Secrets make all sorts of great fashion and beauty helpers like fashion tape, deodorant removing sponges, and clear bra straps. They've thought of what helps us women look better weather it's keeping our girls up and covered or quick fixes for clothes when we're out and about. I find my oil blotting tissues at JoAnns and Old Navy around here but I'm sure you can find them all over. An all natural soy candle from a local artisan. I buy all of my candles from her beause I love supporting local artists, they burn clean and they make my house smell amazing! She makes scents to go along with the seasons and she always has something new. A G2 Roller Ball Gel Pen from Pilot. In purple, of course. Purple is my favorite color and this is one of my favorite pens. I love the flow of the ink, the lack of a lid and I love the color. Writing letters in purple is so much prettier than writing them in black or blue! There were also coupons to local restaurants for a free Italian beef sandwich and a free ice cream sundae, a coupon for a local nursery, a coupon for my favorite olive oil / vinegar place and popcorn from my favorite local popcorn shop. They gave me their combo mix of caramel and cheese! The best. I'm not mailing you the local coupons or the popcorn because I figure by the time this giveaway closes, that popcorn may or may not be getting stale. And I'd hate for that to happen. So, I ate yours. It was delicious. You'll just have to trust me on that one. Leave me a comment below and tell what you'd include in a bag of your favorite things! 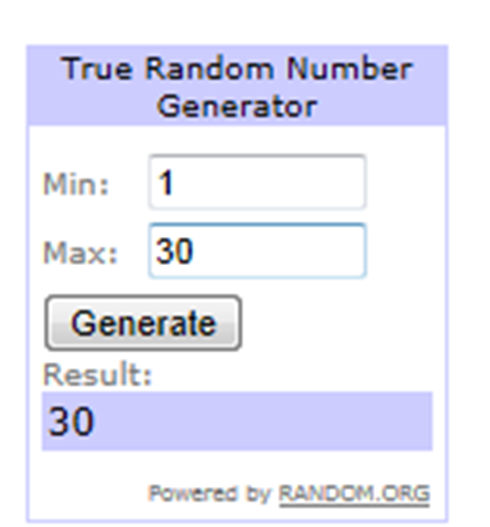 If you start to follow me, leave an additional comment and you'll get an entry for that as well. If your email address isn't linked up to your profile, make sure and leave it for me! Giveaway ends Friday, March 16th so get your comments in by Thursday night! U.S. residents only, please. If you haven't entered the giveaway of my other favorites, you still have until Sunday night. Go here to read about them and enter. 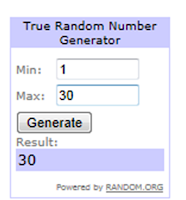 And the winner is: Suzanne! Congrats! Hope you enjoy my favorites. Email your address to: sometimescreative (at) yahoo (dot) com. These are truly things that I use and love. I may have snagged myself a nail file and some hot cocoa but did not receive any compensation for this post. These opinions are my own. So I love to win anything. I'm just saying. Some of my favorite things a bottle of Mezzetta olive oil, Purell hand sanitizer, a medium perfect size Fuzzi Bunz diaper in Kumquat (pumpkin orange color), EOS Sweet Mint lip balm, Origins Peace of Mind stress reliever lotion. Origins has some great stuff! I follow the Sometimes Creative blog and I live in Houston, TX. I love the Oil and Vinegar store. It has some wonderful items. I actually first went to it in Dallas. Now they have one in the Woodlands here. I'm an avid follower. Would love for my name to be put in the pot to win your favorite things. Trader Joes has quite a few of my favorite things. I mailed a package of my favorite T J things once. And I'd forgotten all about Barefoot Dreams. My son had one of their baby blankets. So soft. I've never heard of that. I'll have to check it out. Where do you find it? What a fun idea Amy. You are cool. I wish you lived in Utah. Oh, how I miss Braum's. And Blue Bell ice cream! Never tried that F&W sauce, sounds yummy. Deck of cards for sure! My favorite things would have to be warm socks, yogurt-covered pretzels, bath salts, a good book, and massage oil in hopes that my husband will massage my feet and calves. I love getting my hour back in the fall during daylight savings. I love Bert's Bees tinted lip balm. Laughing at my favorite shows The Middle and Psych. My Ryka shoes for Jazzercise. Listening to music in bed. Airborne Toxic Event. Listening to the rain. Watching Birds from my kitchen window. Lindt chocolate truffles. my brownies. Grilled shrimp, strawberry Coke at Sonic. Burt's Bees is in my top favs as well. I've never watched The Middle but I hear it's hilarious. And I love the sound of the rain. Hey! I follow your fun blog! Some of my favorite things: lux links purse hook, barefoot dreams robe, homemade cards, Burt's bee cuticle cream, nail polish stickers, ..... And trade parties. Those Tostitos chips are addicting! Anything Crayola gets good marks in my book as well. Again with the Texas ice cream! Y'all are killing me! Homemade Vanilla, hmmm? Glad you are enjoying mine. I didn't even keep any for myself! You are so creative! Love your blog! My favorite thing (and maybe because of the time of year) is Reese's peanut butter EGGS. OPI nail polish in "Lincoln park after dark"
Aaaaaand....Bacon :)wonder how i'd lip that into a goodie bag? Ooooh. I want one of your bags! Everything sounds great! Even the bacon. I am having a "favorite things" party at the end of April and am so excited about it. I'm thinking that I want to include some Old Navy flip flops in my bag, as well as some black fingernail polish. I also love Willow Tree figurines as well as some crafty things I've loved making, inspired by Pinterest. Old Navy flip flops are 2 for $5 this week! I just read my Sunday paper so they were fresh on my brain. Have a fun party! I'd love to read about it and see what your guests bring. I sent my sister a favorite things birthday gift - some of mine are burts bees lemon butter cuticle creme, burts bees pomegranate lip balm, gummy sour watermelons, big rings with elastic so they fit any finger and essie nail polish. Lush Ocean Bath Bomb -- makes you think you are at the beach!!! I'm new to the area and had never heard of anything like this. What a great idea and what cute stuff! Some of my favorite things are Samoa and (frozen) Thin Mint Girl Scout cookies, Cadbury chocolate eggs, Burt's bees, and Brown Sugar & Fig lotion from Bath & Bodyworks. Love your blog Amy! Hey girlie...if you draw my name you better not throw it back!!!! Love your blog! So fun and creative! Freaking awesome! Loved the bag- such a great idea for a party!!! I'd hv in my swag bag: charleston chews, mini notepads, crystal lights packets, pocket perfume, my fav pen, my fav hand lotion, a piece of jewelry, a wallet or coin purse ... The possibilities r endless!